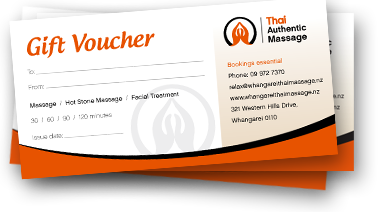 Thai Authentic Massage is Whangarei’s newest Thai Massage boutique. Nestled in a handy location at 321 Western Hills Drive, in Kensington, Whangarei, we welcome you to our place of Thai massage. Let our hands do the talking, with years of experience as a massage therapist in a hospital in her native Thailand, our masseuse Ladavun (Da) can show you what a true Thai massage is meant to feel like, and gain great results for your body and mind. Da’s understanding of the body, its mechanics and its daily workings, works for you, as she can stretch you, manipulate your body or simply give you a quiet space to relax and rejuvenate while enjoying your massage. Experience an authentic Thai massage where your body is stretched, toxins released and your mind energised; feel the effect of the warmth of a hot stone massage; take a moment to relax and soothe with a relaxation massage; kick start your body with a foot reflexology massage; or simply enjoy a replenishing facial. Our quiet boutique ensures a relaxing and private massage experience. Feel the difference; enjoy a massage at Thai Authentic Massage. Fantastic experience from start to finish! :) not only is Da a lovely lady she is amazing at what she does... I will definitely be back and can't recommend her highly enough!! Da you are a master! Incredible massage from the best of the best! I had the most amazing hot stone massage, it was so relaxing I nearly fell asleep. Best "me" time I have had in ages, and so worth it. I will be going back! I've tried lots of places and really like Authentic Thai Massage. I like that they are professional and the rooms are lovely and clean. Da always checks to see if the pressure is ok, is very thorough and has a great personality too. I can't rate Da (and Paul) highly enough, thanks guys.